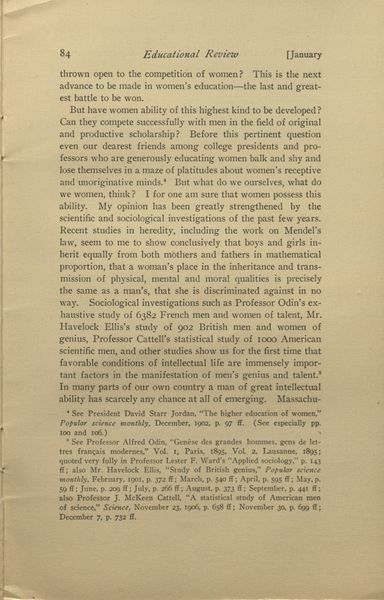 Thomas, M. Carey. 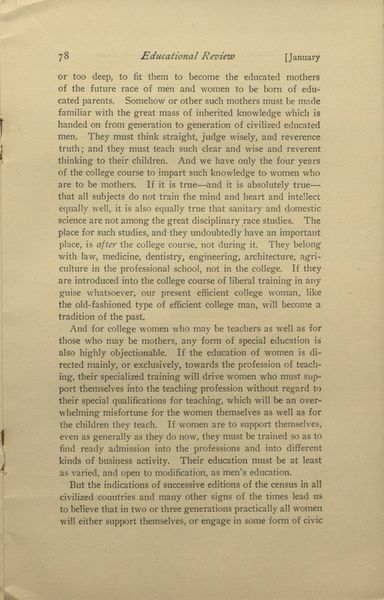 "Women's College and University Education." 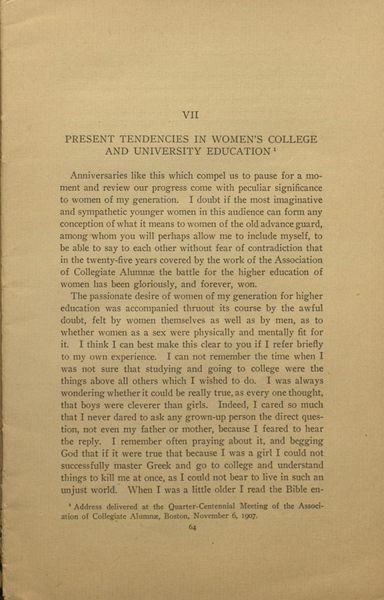 6 November 1907. 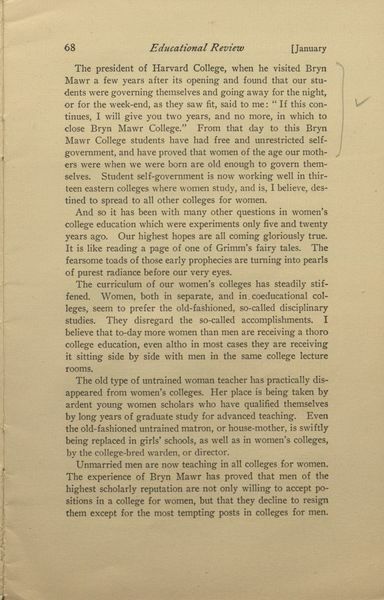 Bryn Mawr College Special Collections, Bryn Mawr College. 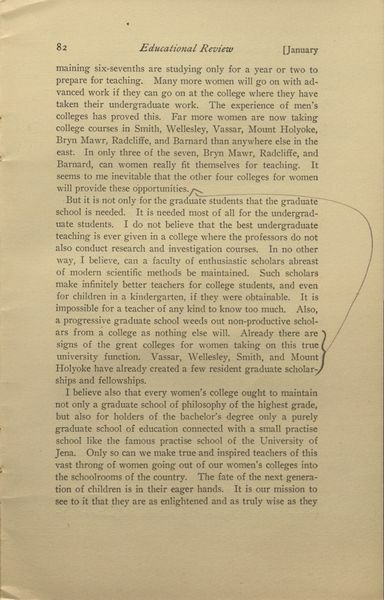 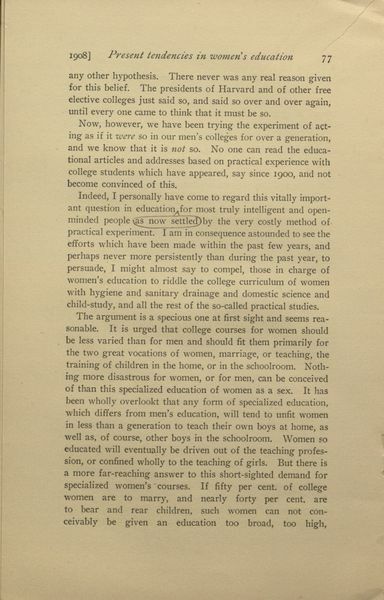 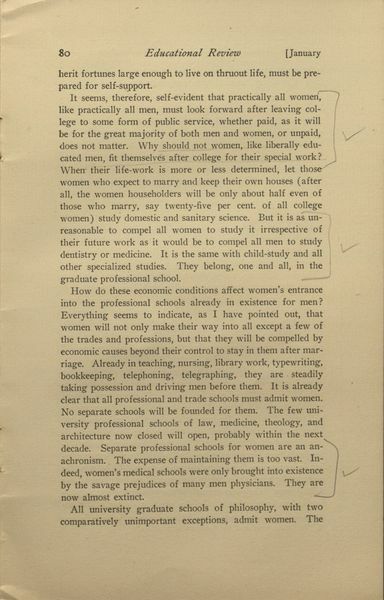 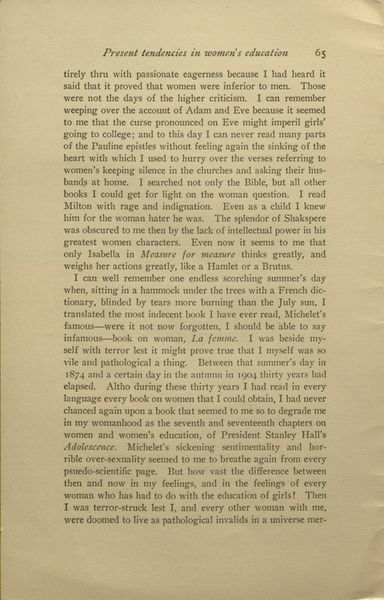 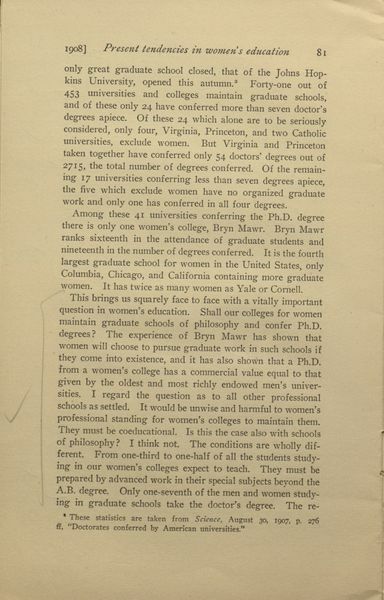 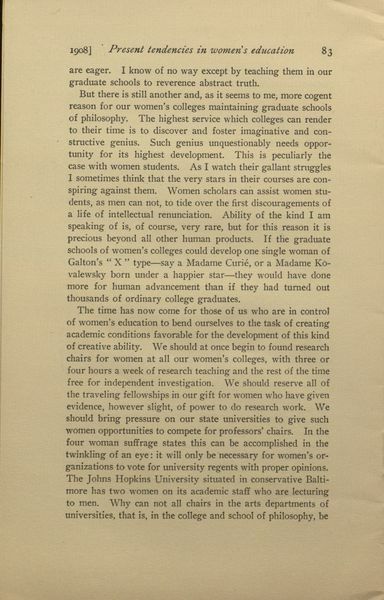 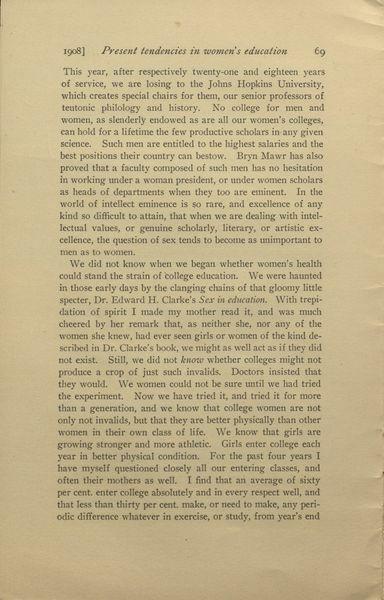 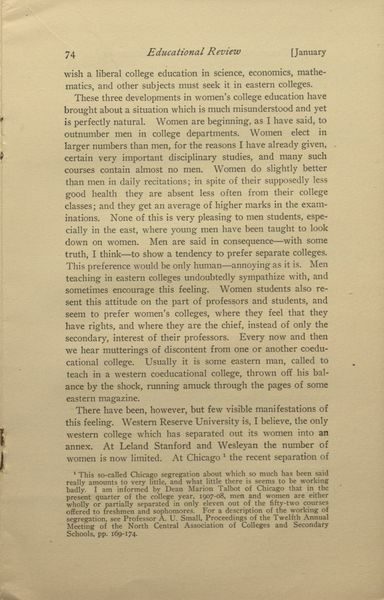 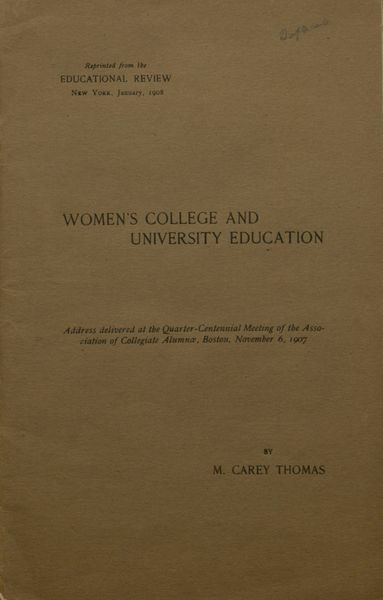 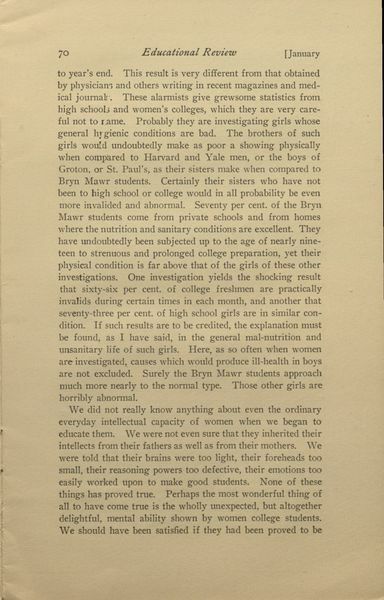 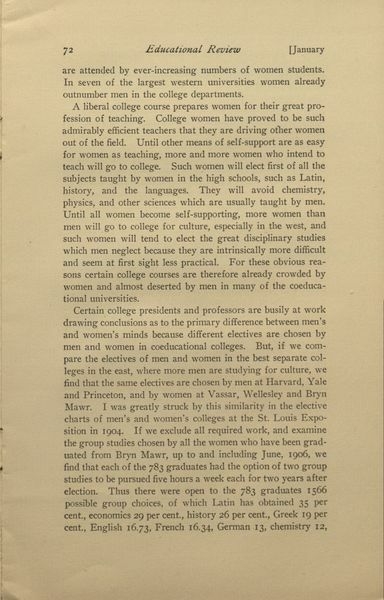 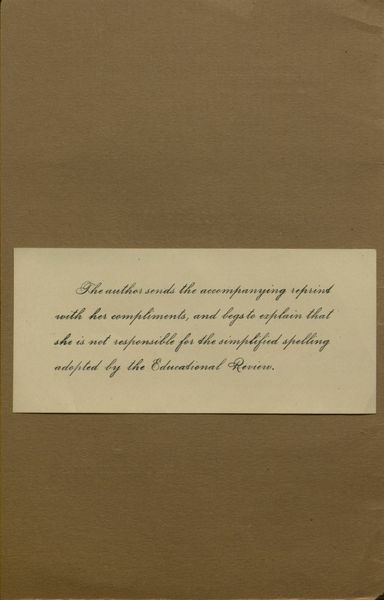 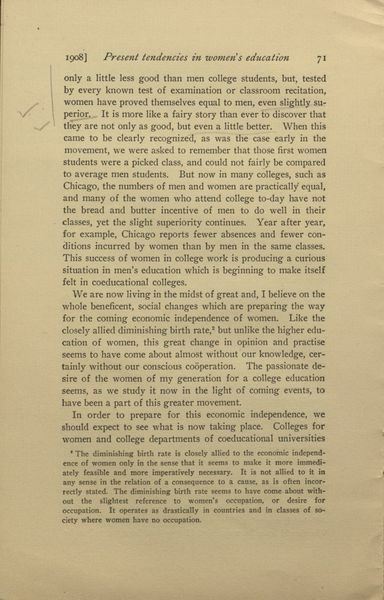 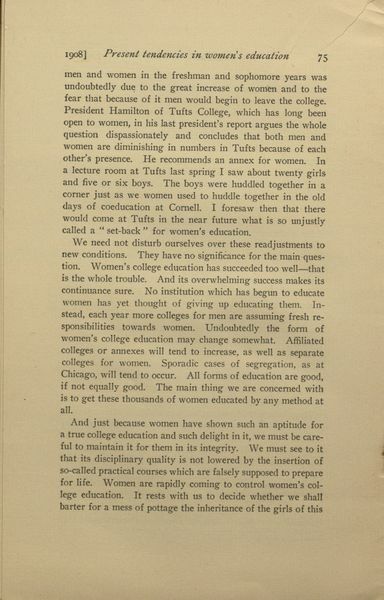 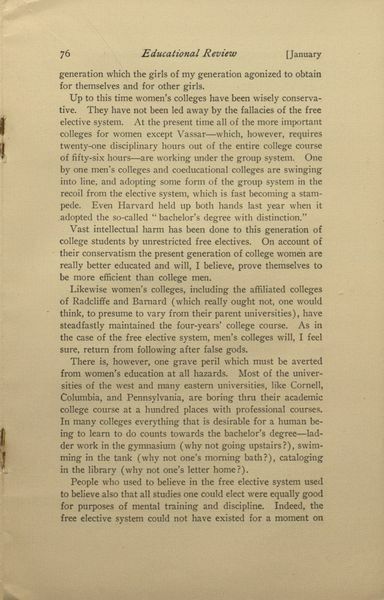 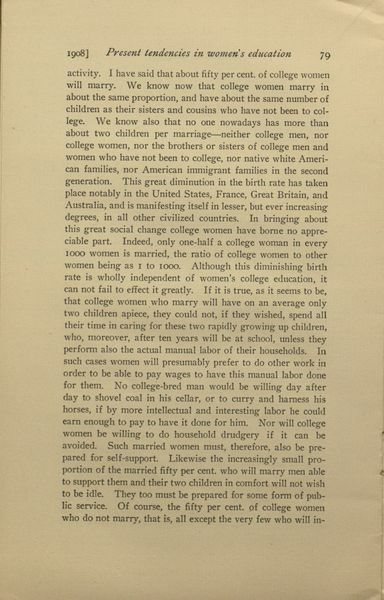 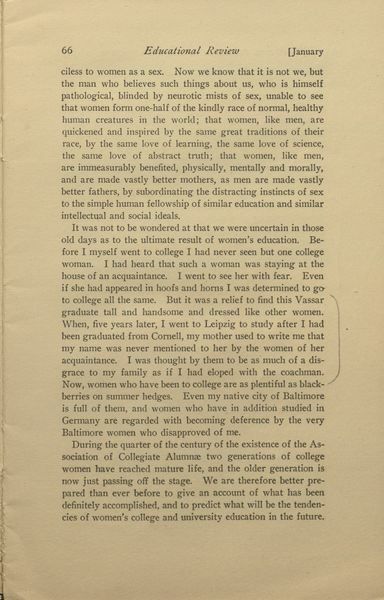 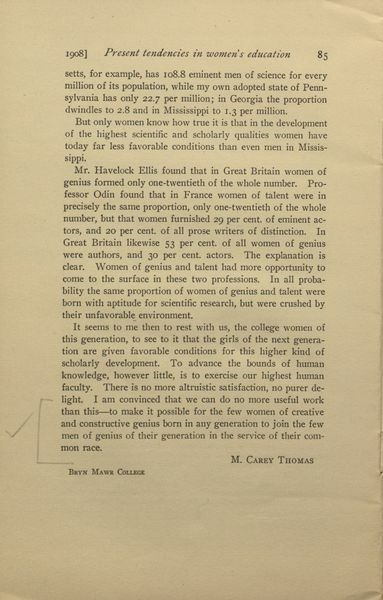 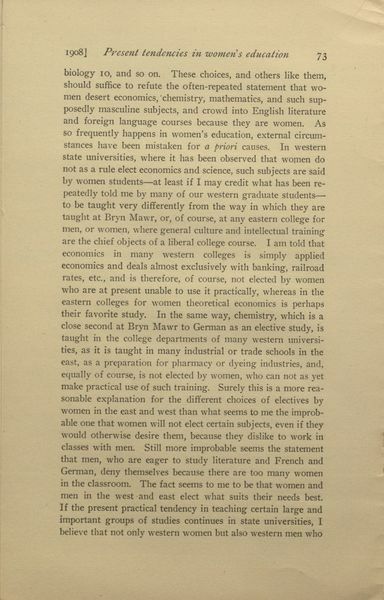 Thomas, M. Carey, “Women's College and University Education,” The Albert M. Greenfield Digital Center for the History of Women's Education, accessed April 18, 2019, http://greenfield.brynmawr.edu/items/show/2753.